In an effort to save power and to reduce their energy bill, households take various measures. These range from roof repair to the installation of insulated windows. 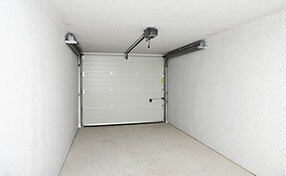 Now property owners can opt for insulated garage door installation as well. In some cases, it is possible for insulating material to be added to the panels of an existing door as well. Learn more about these two options and how they can affect your budget now and in the future. 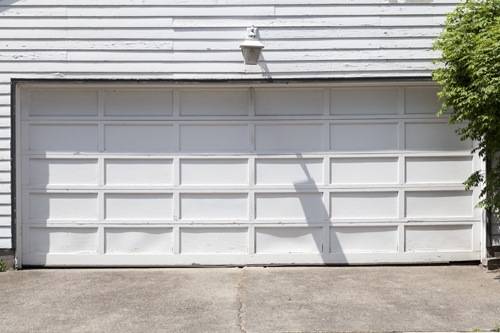 The benefits of an insulated garage door include lower energy loss through the garage and lower risk of condensation inside. The importance of the latter benefit should not be underestimated. When there is no condensation, the risk of water damage to the metal garage door parts and the panels is greatly reduced. You will not have to worry about mold either. Another logical question to ask is how well the insulated overhead door will work. This depends on several factors. The first one is the design of the unit. Panels which have two metal sheets and a layer of insulation inside do a better job than those with metal sheet on just one side. The insulating material also plays an important role. Polyurethane generally has greater thermal resistance than polystyrene and tends to be stronger and more durable as well. It is also more expensive. One important thing to keep in mind is that the effectiveness of the material will also depend on its thickness. The thicker it is the better. 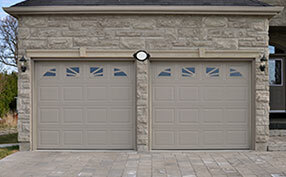 Just like insulated windows, the garage doors receive an R-value based on a specific procedure for calculation. This is an effective measure for comparison. At the same time, there are other external factors affecting the level of insulation. With the appropriate weather seals, it can be improved. If you customize a unit so that it has windows, the actual R-value will be lower than the original one as one or more of the garage door panels will not be as well insulated as the rest. Most steel overhead door panels and especially the ones with single-sheet design can have insulation added to them. The material is typically in panel form. Since the addition of insulation will increase the weight of the unit, garage door spring replacement will most certainly be required.